Alembic Pharmaceuticals is currently trading at Rs. 537.40, up by 2.20 points or 0.41% from its previous closing of Rs. 535.20 on the BSE.The scrip opened at Rs. 536.75 and has touched a high and low of Rs. 542.00 and Rs. 530.30 respectively. So far 1728 shares were traded on the counter. The BSE group 'A' stock of face value Rs. 2 has touched a 52 week high of Rs. 588.00 on 15-Feb-2018 and a 52 week low of Rs. 412.40 on 24-May-2018.Last one week high and low of the scrip stood at Rs. 543.95 and Rs. 511.45 respectively. The current market cap of the company is Rs. 10042.24 crore. The promoters holding in the company stood at 72.96%, while Institutions and Non-Institutions held 14.30% and 12.74% respectively. 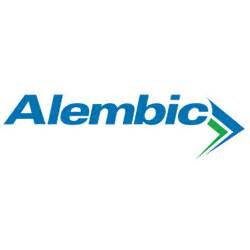 Alembic Pharmaceuticals has received tentative approval from the US Food & Drug Administration (USFDA) for its Abbreviated New Drug Application (ANDA) Ticagrelor Tablets, 90 mg. The tentatively approved ANDA is therapeutically equivalent to the reference listed drug product (RLD), Brilinta Tablets, 90 mg, of Astrazeneca Pharmaceuticals LP. Ticagrelor tablets are indicated to reduce the rate of cardiovascular death, myocardial infarction, and stroke in patients with acute coronary syndrome (ACS) or a history of myocardial infarction (Ml). Ticagrelor Tablets, 90 mg have an estimated market size of $625 million for twelve months ending December 2017 according to IQVIA. Alembic now has a total of 75 ANDA approvals (65 final approvals and 10 tentative approvals) from USFDA.